The Tarrytown Meetings were convened in 2010, 2011 and 2012 to address challenges raised by profoundly consequential human biotechnologies and related emerging technologies. They were held at the Tarrytown House Estate and Conference Center in Tarrytown, New York. The major objectives of the Tarrytown Meetings were to 1) build an advocacy network of committed individuals and organizations grounded in values of social justice, human rights, ecological integrity, democratic accountability and the common good; 2) provide a venue to share and discuss proposals for policy and practice; and 3) develop skills in organizing, outreach, communications, strategy and fundraising. Over 200 invited scholars, advocates, policy experts, creative artists and others participated. This website holds the full proceedings of the three Tarrytown Meetings. See the Report below for a summary account. This website contain descriptions, summaries, powerpoints and in many cases full texts of plenary and working session presentations. Videos of all plenary session presentations are also shown. If you would like additional information about any particular presentation, please contact the presenter directly. Contact information for Tarrytown Meetings participants is current as of the last Tarrytown Meeting at which they participated. 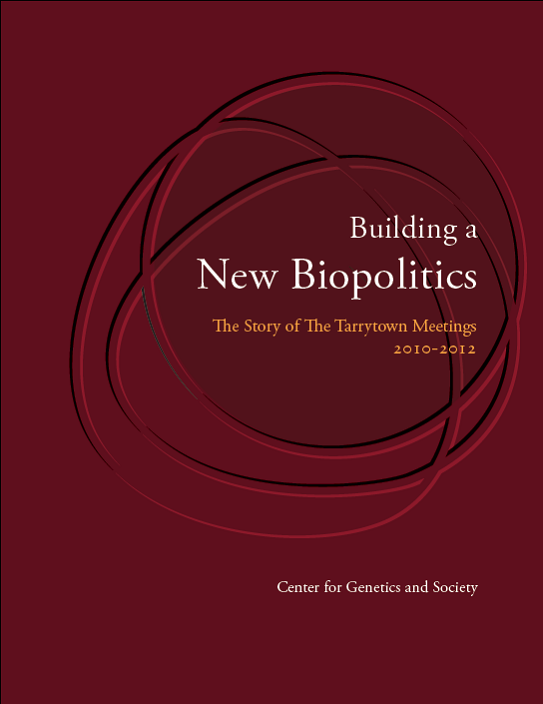 For other queries concerning the Tarrytown Meetings or this website, please contact the Center for Genetics and Society.